Decorate your bedroom with this fantastic group of aeroplane stickers! 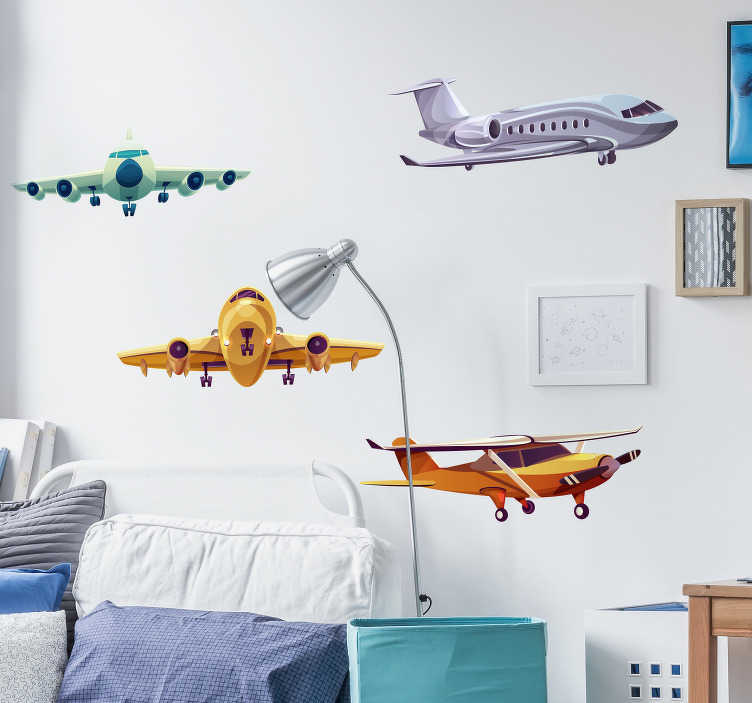 The aerial theme is one of the most pursued decoration, and now we at Tenstickers have developed the most realistic and gorgeous wall art decal so far - Perfect for all those children who just love airplanes and wish to have them around at all times. These airplane stickers come on a sheet as separate stickers, so can be applied to your liking, to your taste.